There are two main factors to consider when selecting the right compressor for your business — size and features. With regards to size, compressor capacity and operating pressure take the forefront, as buying a compressor that is too small will waste valuable time and buying a compressor that is too large will waste valuable resources. Thankfully C & B Equipment’s Compressor Central is a one-stop-shop for all of your compressor needs. 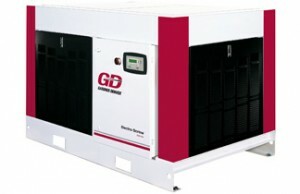 Compressor Central offers visitors a wide assortment of compressors from leading manufacturers like Gardner Denver, Kobelco, Powerex and Bauer, as well as insight into each of the compressors specific product features. Our goal is to help you lower your energy cost, and reduce downtime and wear on your equipment for improved production at the demand side. P.S. We also design, install and perform compressed air audit practices which identify supply-side compressed air equipment to reduce energy costs and improve air quality.